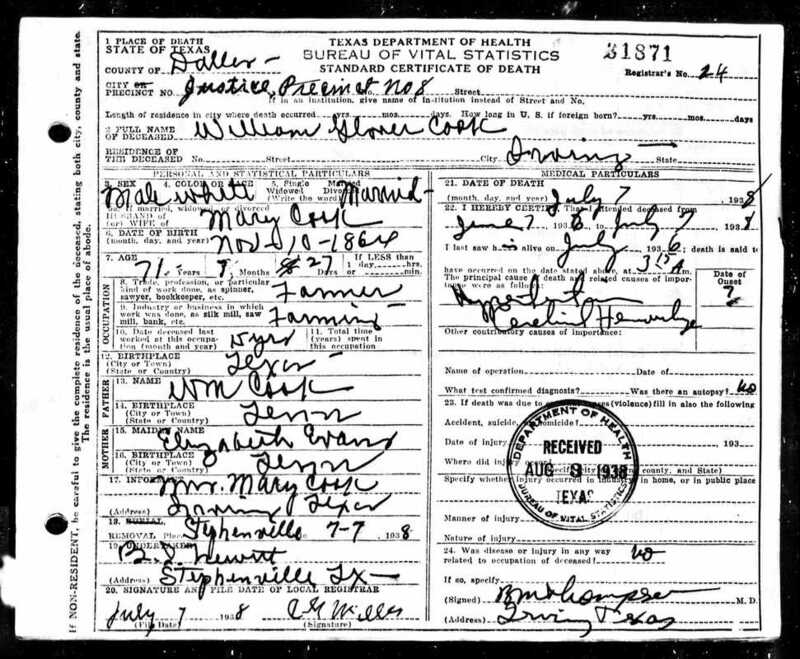 William was born November 10, 1864 in Palentine, Anderson Co., TX, and died June 07, 1935 in Irving, Dallas Co., TX. He married Mary Amanda Hensley. She was born August 02, 1875 in Erath County, Texas, and died November 01, 1945 in Dallas County, TX. 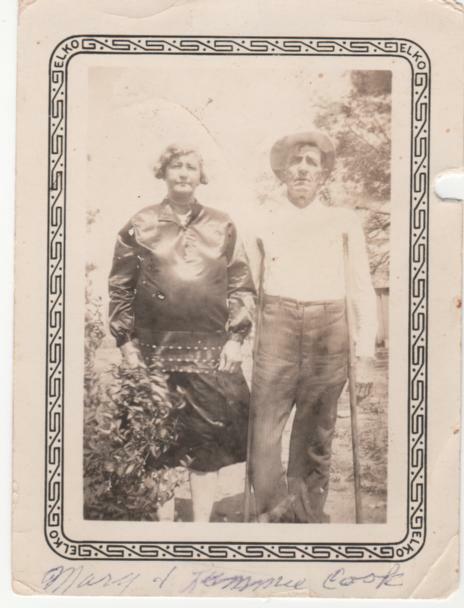 i. MINNIE MAE COOK, b. July 01, 1892; d. January 06, 1893.